All she wanted to do was give her grandson a little spending money for his birthday each year. But those birthday checks sat in a drawer for years — forgotten, stale. What’s a grandmother — and grandson — to do when cashing old checks? “People put (a check) in a drawer or a stack somewhere. Then, the next day the mail comes and it gets put on top, and it just gets lost,” says Walter Graham, president of the National Association of Unclaimed Property Administrators. A consumer who comes across one of these uncased checks faces a conundrum. 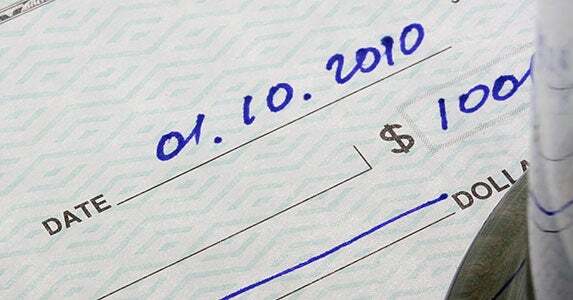 While it may be possible to cash a check that’s more than 6 months to a year old, there are several things consumers need to consider before heading to the bank with Nana’s old checks.